There are still places you can go in the world where you can see the stars, hear the rattlesnakes and look in awe upon our mountain — a mountain that belongs not to any individual, company or government, but to all of humanity, all of us. On the other side of that mountain, located in the Rio Chama Canyon Wilderness, Georgia O’Keefe created art at Ghost Ranch, roughly a two hour drive away, that touches everyone with a heart. I can see why she called it the Faraway after spending five days there in October. I would like to return there again and again for as long as I can. Looking back on 2015, I feel like George Bailey when Clarence tells him that he’s really had a wonderful life. I got to visit our mountain. I got to see Georgia O’Keefe’s art at the Crystal Bridges Museum of American Art in Arkansas and where she created some of it in New Mexico. 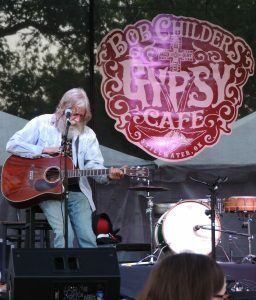 I got to see Tom Skinner play music four or five times in 2015 before he passed on and Oklahoma’s music community was heart broken. And I got meet some darned nice people and watch and listen to some of these fine artists play music. So, here’s music playlist I put together to remind me of the year that was. Some of the music I listened in 2015 to was brand new, but a lot of it, such as Randy’s and Tom’s songs, were just new to me and they touched me in a special place. New Mexico was new to me too and it is a very special place. Maybe you can visit our mountain in 2016.